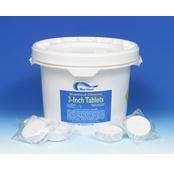 Keep your swimming pool crystal clear with the help of high quality pool shock (56% available chlorine). 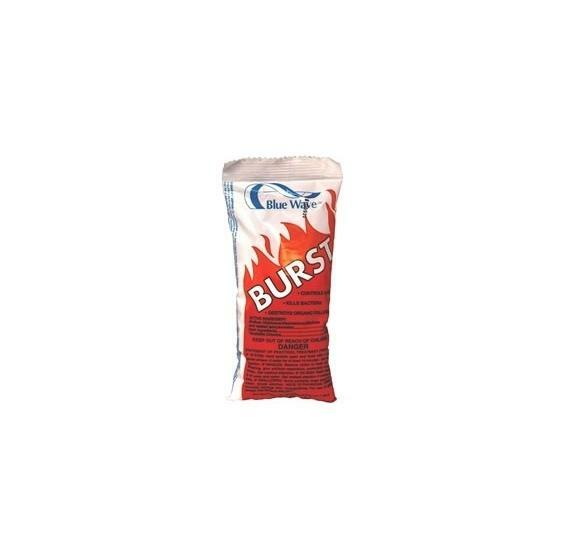 Burst® (Dichlor) pool shock comes in 1 lb. bags and is pH neutral so it will not affect the pH or calcium hardness. FREE SHIPPING! 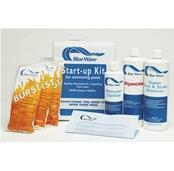 Achieve a trouble free swimming season with Blue Wave®'s Burst® (Dichlor). Manufactured using only the purest ingredients, this is the finest pool shock on the market. Fast-dissolve properties so it won't bleach vinyl pool liners. Oxidizes contaminants and frees up chlorine. Keeps pool water crystal clear with regular use. Easy to use and comes in convenient 1 lb. bags. Each 1 lb. bag treats 12,000 gallons. Super strong 56% available chlorine. 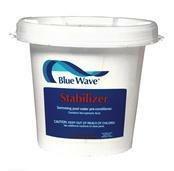 Use the complete line of Blue Wave® Pool Chemicals to simplify pool care and make your water sparkle this summer. These 1 lb. 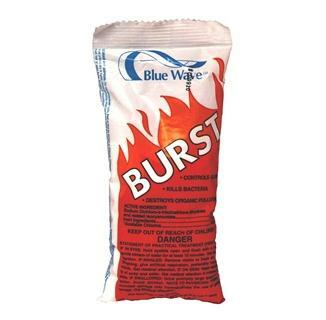 bags of Blue Wave Chlor-Burst (Dichlor) are a powerful secret to a successful pool season! 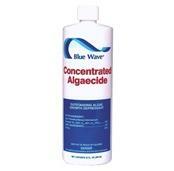 Fight organic pollutants, bacteria, and algae with this powerful shock treatment for your pool. 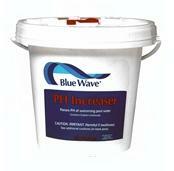 This unique, quick-dissolving formula does not require pre-mixing and will not cloud your water or bleach your vinyl pool liner. Burst is also pH-neutral, so it will not affect pH levels, cutting down on the expense of balancing other pool chemicals. Super strong 56% available pool chlorine. Did you know that those noxious odors, skin irritations, and eye-burning problems are not usually the result of too much chlorine? In fact, there is likely not enough usable pool chlorine to oxidize the organic matter. 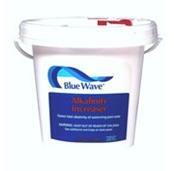 Blue Wave pool shock is the solution! !